The girl leaning through the door of Svend Foyn´s office could be about fifteen years; still a child. Her face was overflowed with freckles and her hair was red. She had an adult expression in her green eyes. The voice was not a child´s. Elvira seeks help for her older sister; she has received unwanted photos of sexual character on her phone. Foyn advices the girl to talk with the school authorities. Some days later; Elvira is found dead in a bathtub- suicide, apparently. And her older sister disappears. Svend Foyn is facing his hardest case ever, he dives into a mystery that will dramatically challenge his own attitudes in pursuit of justice. Child abuse, distant parents not having the slightest idea what their children are experiencing, Foyn is facing sinister mysteries. In norway his novels are price winning and popular; for Germans he is a discovery! Sympathetic hero balancing between good and evil, unexpected turns - what more can you wish for? "Pure conscience" depicts the lawyer's painstaking investigations. The cosmopolitan Mehlum writes novels with a much richer plot than the classic thrills that there are so many of nowadays. He is not only interested in the consequences of his characters, but also for the reasons behind the wrongdoings. Convincing about abuse. 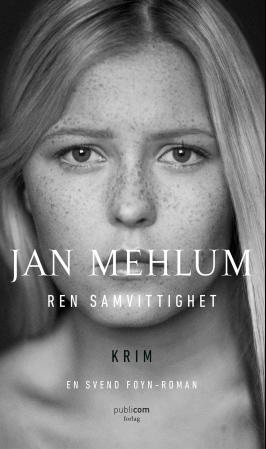 One of Mehlum´s best novels.